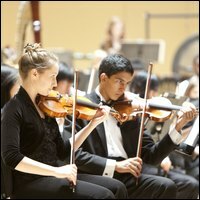 Atlanta Symphony Youth Orchestra is an integral member of the Atlanta Symphony Orchestra family and a vigorous part of the cultural fabric of its community. The orchestra strives for national preeminence among youth orchestras, while cultivating the artistic growth and excellence of its members through enriching orchestral experiences and the mentoring of Atlanta Symphony Orchestra musicians. 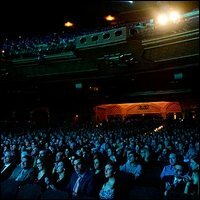 Atlanta Film Festival is Atlanta's largest independent film festival. Positioned at the intersection of art, culture and commerce, the Atlanta Film Festival brings meaning to the moving image by championing the shared community experience, fostering the free exchange of ideas, and nurturing the development of a thriving industry. 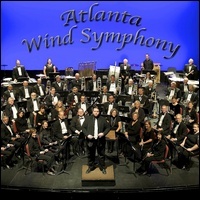 Atlanta Wind Symphony is comprised of a group of passionate, committed musicians ranging in experience from some of Atlanta's finest professional musicians and composers to hobbyists. Founded in 1979, Atlanta Wind Symphony is a non-profit organization internationally respected for its musical excellence, service to the community and contribution to music education. Arís is the Irish word for "Again!" Like the phoenix that is the symbol of the city of Atlanta, Aris (say "ah-REESH") means to bring back with dramatic fire the Celtic theatrical traditions once so richly enjoyed here. Use it as you would "Encore!" Officially launched in June 2013, Arís was founded by nine talented and enthusiastic members of the Atlanta theatre community, with a collective total of over 200 years experience in the performing arts. Atlanta Philharmonic Orchestra is a diverse community whose volunteer members are accepting of individuals who identify as gay, lesbian, bisexual or transgendered. The primary objectives of the APO are to strengthen the playing abilities of its members and to increase the musical knowledge of its audiences; to provide high-quality arts entertainment for residents of the Atlanta area and Georgia; to provide a forum for exchange of musical and other information among its members and supporters; to provide a positive statement to the public at large concerning the talents and capabilities within the GLBT community; and to participate in the growth of GLBT-identified symphony orchestras in other cities, both domestically and internationally. Atlanta Printmakers Studio (APS) was founded in 2005 to promote the fine art of printmaking. It offers access to a well-equipped studio and education to artists and showcases their progressive art in annual exhibits. Atlanta Schola Cantorum, an independent 30-voice chorus, has been performing throughout Atlanta since 1974 and is the area's oldest independent chorus. They specialize in the performance of Renaissance polyphony, notably the motets and masses of Josquin and Palestrina and the works of the Elizabethan composers Tallis and Byrd. Schola also performs the works of contemporary composers such as Pärt, Tavener and Lauridsen. Founded in 1989, Atlanta Festival Ballet is co-directed by choreographer Gregory Aaron and internationally renowned danseur Nicolas Paca and is the only professional ballet company in Atlanta's Southern Crescent. AFB's mission is to present quality ballet and promote an atmosphere of acceptance and appreciation for dance performance. For more than 35 years, Atlanta Young Singers (formerly Atlanta Young Singers of Callanwolde) has nurtured the incredible artistic abilities of children in the Atlanta metropolitan area. The organization provides excellent co-educational choral and musical training that builds self-esteem, confidence, teamwork and leadership. Alliance Française d'Atlanta is an independent and non-profit organization that was founded in 1912 and serves the Atlanta community as the premier provider of French language and culture. The mission of Alliance Française d'Atlanta is to encourage the study of French language and cultures and to foster cultural, intellectual and artistic exchanges between the French-speaking world and the local community. It offers French language studies and cultural exchange programs as well as a variety of courses, social activities and cultural events. 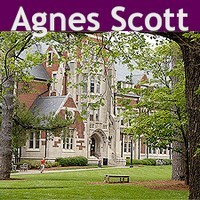 Since its founding in 1889, Agnes Scott College has inspired students to discover new opportunities, new challenges and new strengths through a liberal arts education in a setting dedicated to women. Voices of Note and the Atlanta Gay Men's Chorus proudly announce the Atlanta Women's Chorus! The Atlanta Women's Chorus aspires to be recognized as a choral ensemble that is dedicated to musical excellence and contributing to the community in a positive manner through entertainment and the support of women and women's causes. Through this commitment, the chorus will be united in their mission to embrace diversity, empower women and through music seek to inspire the soul, touch the heart, and positively impact the lives of the audience. The chorus is under the direction of Dr. Melissa Arasi, who has maintained a steady career as a choral conductor, teacher and currently as Supervisor of Performing Arts for the Cobb County School District. The chorus is open to LGBT women, their allies, and all women, regardless of identification. The Atlanta-Fulton County Public Library System serves as a cultural and intellectual center that enriches the community and empowers all residents with essential tools for lifelong learning. The system serves the citizens of Fulton County and the City of Atlanta (including the portion of the city in DeKalb County). The system has 34 libraries. As of September 2009, there were 509,335 registered library cardholders, and the libraries hold a collection of more than 2,437,444 items for adults and children, including books, magazines and other periodicals, CDs, DVDs, and video cassettes. Arnika Dawkins Gallery is devoted to presenting fine art from both emerging and established photographers and specializes in images by African Americans and depicting African Americans. The owner is passionate about connecting collectors to artwork that is significant, inspiring and provocative. The gallery's objective is to provide an educational platform that supports a burgeoning community of talented artists. 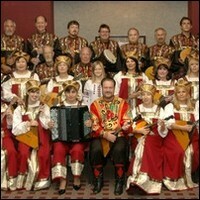 Atlanta Balalaika Society is a non-profit 501(c)(3) organization dedicated to the performance and preservation of Russian and East European music for traditional Russian folk instruments. The members of the Atlanta Balalaika Society orchestra are of all ages and backgrounds, and while some are of Russian background, many are Americans who love Russian folk music. Their repertoire includes folk music and songs in traditional arrangements performed on traditional instruments. Atlanta Chamber Players is a mixed ensemble of strings, winds and piano that was founded in 1976. 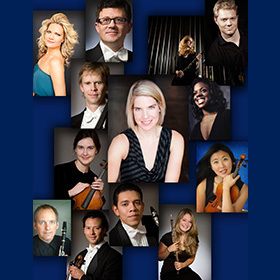 The ensemble has earned a national reputation as a pioneer among chamber groups. Its broad repertoire includes traditional masterpieces (Beethoven, Brahms, Schumann, Dvorak) as well as contemporary classics (Crumb, Messaien, Stravinsky). 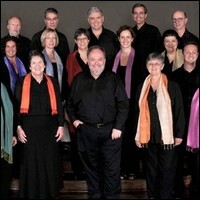 The group also has a long-standing commitment to performing the music of living American composers. 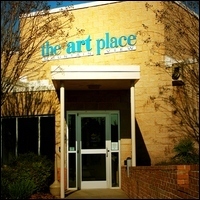 The Art Place - Mountain View is a facility of the Cobb County Parks, Recreation & Cultural Affairs Department. It encourages fine arts programs that enhance and promote processes of artistic merit by fostering creativity in the individual rather than the finished product. The Art Place has spaces designed to be flexible for visual and performing arts activities, as well as meeting space for non-profit arts-related organizations. The Atlanta Jewish Film Festival (AJFF) is a 20-day cinematic exploration of Jewish life, culture and history. Seeking to use the power of film to both entertain and educate, AJFF challenges conventional perspectives on complex and challenging issues facing both the Jewish and global communities. Atlanta Celebrates Photography (ACP) is a non-profit arts organization dedicated to the cultivation of the photographic arts and the enrichment of the Atlanta art community. 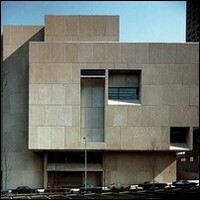 The organization is most known for its citywide photography festival held in October. 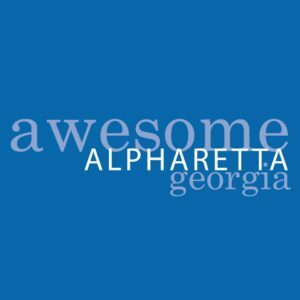 The Alpharetta Convention & Visitors Bureau is a non-profit destination marketing organization with a mission to position Alpharetta as a regionally, nationally and globally recognized premiere tourism destination by developing quality programs and facilities to attract overnight visitors. Its goal is to make tourism a significant and ongoing contribution to the economic well-being of the city. With two multi-media classrooms, a black-and-white photography darkroom, a pottery studio, meeting spaces and a gallery, this creative facility is an excellent addition to the Cobb County Parks, Recreation & Cultural Affairs Department. Programming includes classes and workshops in the visual, performing and literary arts during Fall, Winter and Spring quarters; visual, dance and theater camps for children during the Summer quarter; and exhibitions and meeting space for arts-related activities year-round. The Atlanta Opera strives to present opera productions of the highest standards possible, while fostering education about the art form and encouraging its growth with services and programs designed to fill the needs of the community. Founded in 1979, the organization directly serves almost 100,000 people annually in metropolitan Atlanta.